Arrival at the Skopje’s airport and transfer to the city. 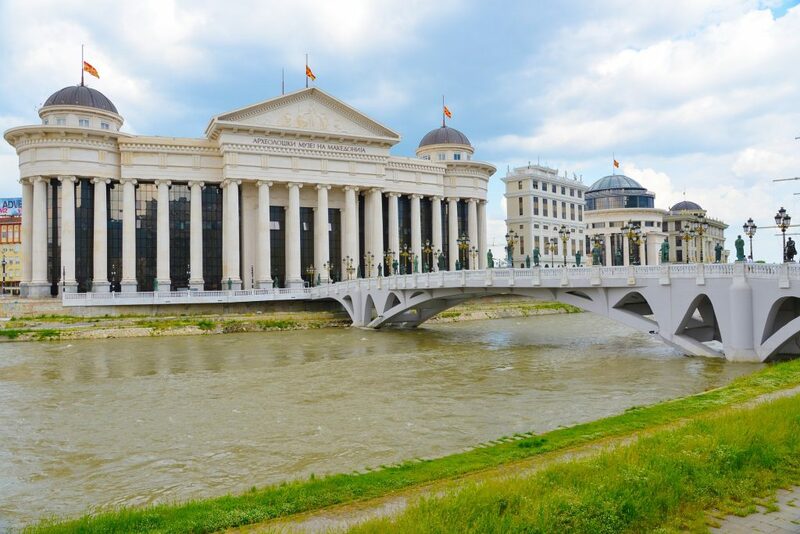 Accommodation, refreshment and the first lunch in the center of Skopje. 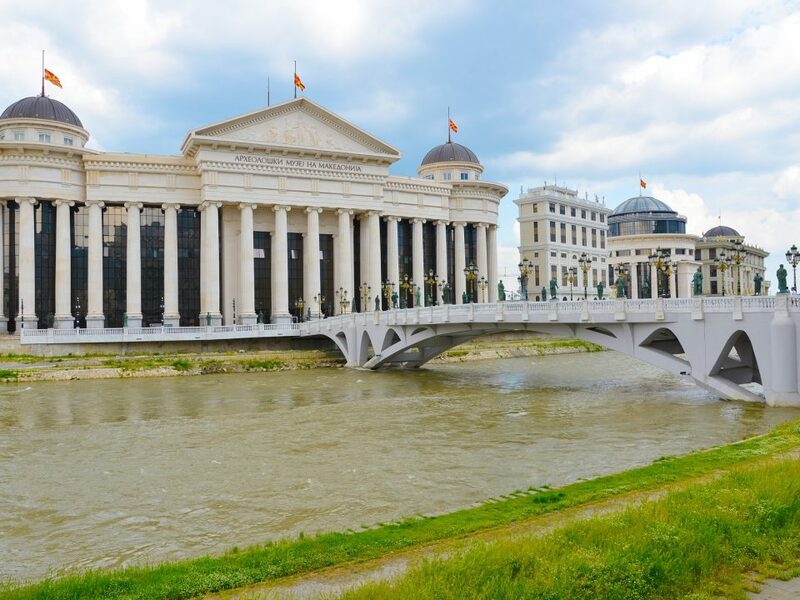 After lunch, our local tour guide will take you on an orientation walk, with many stops for photo shooting, talk about the city itself and Macedonia in general. The master photographer will speak more about the photography at the beginning of the first day. Free time and dinner in the old town. Overnight in Skopje. This early morning before breakfast, we start with a photo session in the city. We return for breakfast around 9:00-10:00, and we rest for a while. After the break, we start with photography lessons, using projector and monitor. A conference room in the hotel will be set for this purpose. Lunch at the hotel, and we return to the city again for photo shooting. While shooting, the local guide continues talking about important local things, people, life… Dinner in the city in a traditional tavern with live local music. Overnight in Skopje. Before breakfast, around 6:00 o’clock, we start with street photo shooting, then return to the hotel around 9:00 o’clock to have our breakfast. Start packing, check out and we take a trip to the very traditional high mountain village of Galichnik. On the way through the mountain region of the National park Mavrovo, we make few stops to admire the view and to take some photos of this unspoiled nature. 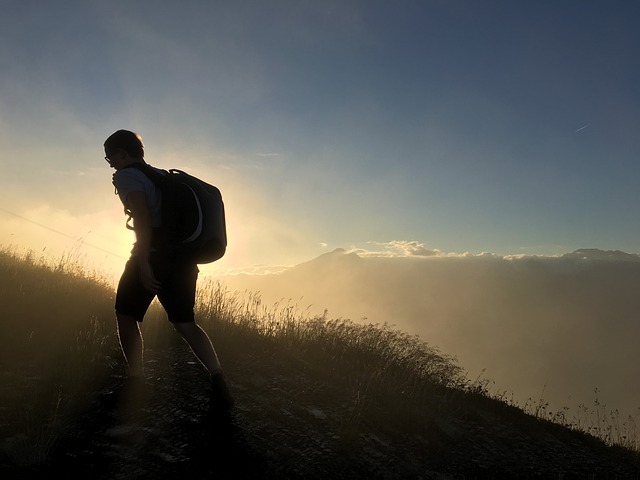 We reach the peaks of the mountain and mingle, if possible, with shepherds in the mountains. In Galichnik, we accommodate in the only modest hotel they have or in local houses. After a short break, we have a traditional lunch, a speciality from this region. In the late afternoon, we explain more about the upcoming events and our plans for photo shooting. If possible, we may meet a local family from the village, visit their house and talk with them about the famous Macedonian traditional Galichnik wedding. Traditional dinner, free evening and overnight. In the middle of July, for the Orthodox St. Peter’s day, the famous Galichnik wedding takes place here. It will be best if we can be present on this day here. If not, we can still feel the spirit of the wedding, mingling with the locals, visiting houses and the wedding museum…We start shooting from early in the morning. We take photos of the villagers, old houses and the distinctive architecture, we simply walk around the village on our own, feel free to pick a house or locals for chatting and taking pictures. If we are here during the wedding, we can visit the houses of the bride and the groom. In the evening we wander around the steep streets, visit local cafes and tavern, listening to local folklore music, drinking local brandy and wine…Overnight in the village. After breakfast, before we leave the village, once more we take our cameras and walk around the village. We leave about midday and head to an old medieval monastery – Bigorski monastery, dedicated to St. John the Baptist. On the way, we can once more visit some local shepherds, possibly to taste their cheese and other dairy products. We stop for lunch on your own somewhere along the shore of Lake Mavrovo. In the late afternoon, we are in the monastery. We make our first contact with the monks, and later on the dinner is served at the monastery complex restaurant. With permission from the monks and if possible, we take photos of them, with respect of their life and rules, and the beautiful frescoes and deep wood curved iconostases inside the church. We participate in the evening activities with them, if there are such. Overnight in the monastery. We wake up at 5:00 at sunrise, photographing inside the monastery. It would be an honour for us if the monks let us take pictures during the morning liturgy. Breakfast with the monks or in the monastery restaurant. After the breakfast, we drive to Ohrid, making few stops to shoot canyons, rivers, lakes and high mountains. Arrival in Ohrid and accommodation. Lunch break on your own, and a short orientation walk in the city of UNESCO. Dinner will be organized in a restaurant near the lake Ohrid, offering local fish. In the evening, photo lessons by the lake. Overnight in Ohrid. In the morning with the first sun rays, we take small boats to visit the fishermen and take photos of them. After the boat ride, we come back to the center for breakfast, maybe traditional Macedonian pie and yogurt. Back in the hotel and photo lessons. 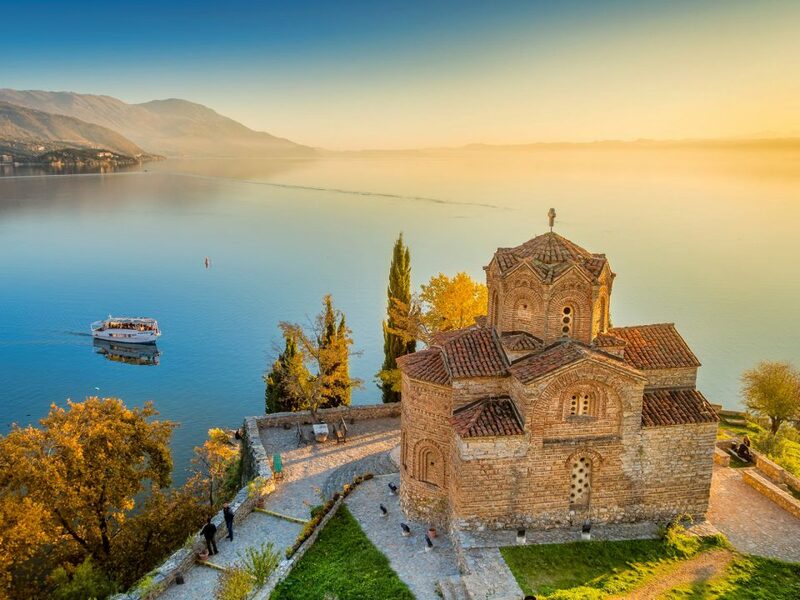 In the noon, we join a big boat ride to the St. Naum monastery, on the other side of the lake. On the boat, we talk about Lake Ohrid, Macedonia, photography, Photoshop... Later on, we visit the monastery of St. Naum, built in 9th century, then using paddling boats we take a sail in the springs of the lake. Finally our lunch will be served in a restaurant near the springs. Returning back to Ohrid with the boat. 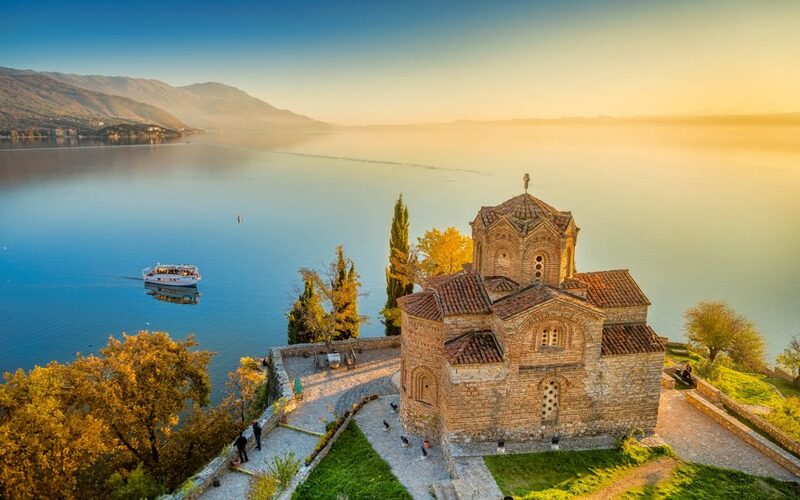 Tonight we walk the Ohrid streets, using our cameras, with a possibility to visit a concert, part of the famous prestige Ohrid summer international festival. Dinner in a restaurant by the lake, and evening photo lessons on the lake shores. Overnight in Ohrid. Today we have a relaxed day. After the breakfast, we head high in the mountain in the National park Galichitsa, with breathtaking views to the Lake Ohrid and Lake Prespa. On the way to Bitola, we stop few times on this beautiful mountain for photo shooting and for a small walk in the mountain. When we get to Bitola, the city of consuls, in the afternoon, we accommodate in a centrally-located hotel, we take our cameras and walk to the local open market, bazaar, and try to photo-shoot the local sellers and local people. After the bazaar, we take a walk on the most famous Bitola street, Shirok Sokak. Organized dinner in the center and overnight in Bitola. In the morning, we take a walk to the city bazaar once more, now with a local person to help us communicate with the locals around the bazaar. We take pictures there, and then do some shopping for the upcoming barbecue in the Mariovo region, one of the most mystical places in Macedonia, to photo-shoot old Macedonian architecture, abandoned villages, forgotten places, and part of untouched nature. We rent SUV's to take us there. In the afternoon, we come to the village of Zovich. Next to the famous old river bridge, inside a canyon, we make barbecue. The group walks around to explore the region and take more photos. We stay until the night. When it gets dark, we can also take photos of the bridge using torches, flashes…Back in the hotel, late in the evening. Overnight in Bitola. We leave Bitola after the breakfast and drive to the wine region of Tikvesh, the biggest in the country. Driving to the town called Demir Kapija, we spend the rest of the day in the winery Popova Kula. It would be nice to meet the owners, managers, workers – we can even take pictures of them and make portraits. We will observe the wine-making process and the capacities of the winery, as well as the wine yards. This is the day to summarize everything we have done in the previous day. The group will talk about their photos and experiences. Farewell dinner, tasting varieties of Macedonian wine. Breakfast and transfer to the International Airport in Skopje.